During the month of April...and now part of May, I'll be doing a rundown of my favorite television shows of all time. If you've missed any of them, check out the links at the bottom of this post for all of the past roundups. Of all of the shows on this list, the one that I probably re-watch and am the least familiar with of the bunch is Ally McBeal. I watched this show in middle school and a bit of a high school, and thanks to it being only on DVD for a short while (not when I was in my cannot-stop-watching-TV-on-DVD phase during college), I didn't have time to re-watch and constantly memorize every single episode. As a result, I decided to rewatch most of this series in the past three weeks so that I would not embarrass myself by putting together a Top 10...hence the delay in the rest of this list. The final nine series I shouldn't have to rewatch (I could recite most of them), so we should get these done in rapid succession. Ally is a show that I'm guessing many of you probably would need to re-familiarize yourselves with. While I was looking for episode recaps and consensus thoughts around the internet (this was before I decided to take the plunge and just re-view every episode), I found that a number of people have meant to catch up with the series, but never taken the opportunity. As someone who just has, I have to admit that I didn't remember some of the tones of the series. For starters, the show is a lot sadder than I initially remembered. Between the dancing babies and the face bras, there are a lot of complicated issues going on in this series. Our heroine, for starters, doesn't have a lot of luck in the love department, but more so, she's not an upbeat sort of character who gets us through on sunshine-she's someone who is deeply lonely. This goes for most of the characters on the series: there's a vein of broken dreams on the series that really felt authentic in a way few television shows are or have been. We frequently get sadness in the lives of our characters, but few times do we actually get it consistently, as no one wants to watch their friends be sad (and like it or not, in this age of hyper-media and less direct-contact with our fellow human beings, our relationships with television characters have begun to mimic what we do with people we know on Facebook). The series was always really and truly all about Ally. You rarely got to know much about the side characters (occasionally John, but even then it was almost always in relation to Ally). 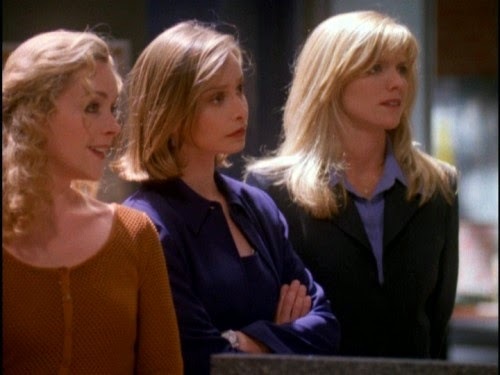 Probably the most under-sung of the original characters was Elaine (the wonderful Jane Krakowski), so when you got one of her episodes it always felt pretty special. Here we got to see a bit inside her world, where we learn she's not quite as promiscuous as she lets on (I love the bit where she didn't put out for the guy she liked and the guy thought he was "being punished"...there's a truth to Elaine's thinking that I think most people who have been single and burned by the player can understand). The rest of the episode was strong (Ally realizing that John may be her soulmate, Georgia serving Billy with divorce papers), but this one belonged to Jane Krakowski. We got our main characters all established, with Ally inviting us into her inner-world (that narration would come and go pretty sporadically throughout the series, but it was very heavy at the commencement). The most pertinent things about this episode was that it gave us a tonal shift in what we'd be seeing-there is an uber-ridiculousness to this show that you either had to buy into or dismiss immediately, and we saw the melancholy of this main character amidst the humor. More subdued than where she'd go in future seasons, but still totally in-line with the Ally we loved. Frequently the show got you to think a little bit ahead of its time, in particular in an episode like this one where a former teacher wants to live in a coma for the rest of her life because she has a much better life in her dreams. 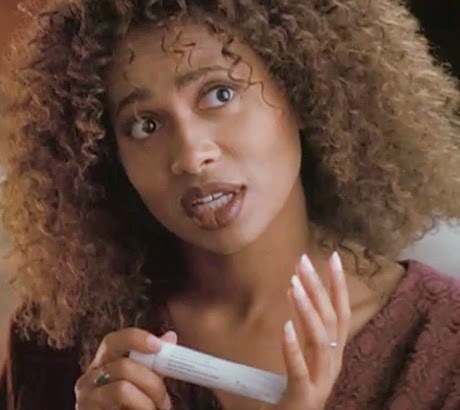 This of course hits close to home for Ally, who has a much more active imaginary life than anyone else on the show, but it also hints at the future "Our Second Life" style internet culture that we'd soon engage in (again-Ally McBeal, ahead of her time). Really, a very special episode in a season full of them, this one was one of several episodes that featured Ling (you'll notice that the Haley Joel Osment episode isn't on this list, which is arguably Lucy Liu's finest hour on the show, but the subplot with Renee/John/Richard was too ludicrous and I tend to not like the episodes where I disagreed with the verdict). That said, here Ling must confront some personal turmoil over what she wants out of life, and has to give up a man that she thinks she could have a real future with because she's uncertain, but knows that her friend loves him. Throw in a really wonderful episode in the extended Anne Heche plotline (she wore out her welcome after a while, but the first couple of episodes with John showed incredible promise), and you have a nice forgotten gem in the series. The Robert Downey Jr. episodes were so damn good it's impossible not to include some on this list, but Season 4 feels like a completely different show compared to the first three seasons and the unfortunate final one. The episodes were far more subdued, more introspective, and far less ostentatious (I'm not saying this is a bad thing, but it's just a major tonal change from the Robert Palmer girls we had seen in the previous season). This was probably the closest we got to the crazy Ally days of yore, with a bevy of guest stars (Cheri Oteri, Paul Reubens, Cindy Margolis, and most impressively, Sting), and a perfect end of the episode with Downey singing "Every Breath You Take" with Sting. Honestly, I think the series would have been smart to just end here-every character gets a little bit of a shout-out, there's lots of music, and quite frankly, Ally being happy with Larry felt so right that the real-life drug issues with Downey (which caused him to leave the show) made everything after feel like a let-down. For those keeping track at home, this is indeed the episode with the Dancing Baby. As a fan, I sometimes become annoyed when this is the only touchpoint for the series for those casually acquainted, as it was much, much more than that, but there's no denying that the baby was an inspired addition to the cavalcade of hallucinations in Ally's head. 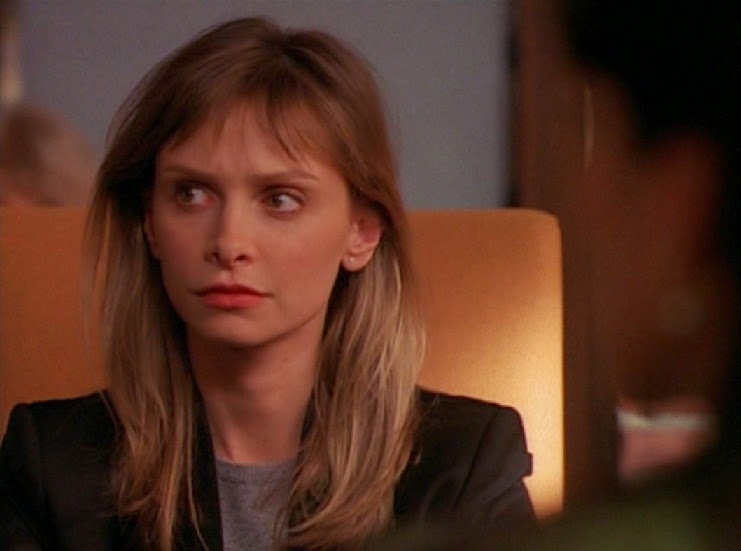 Ally's mental health was actually questioned pretty seriously in this episode (another side note-was Ally McBeal a genuinely mentally ill television character? The comments are there for you, but there's solid evidence). The show had some great moments from Georgia (Courtney Thorne-Smith, along with Lisa Nicole Carson, never really got her due on the show but she was particularly great at doing insecure), and we get one of John's best closing arguments, but this is primarily here for that boogying toddler. Before I decided to re-watch all of the episodes, I had already written down "Troubled Water" as one I knew would make my personal Top 10, and this is a gold mine of great comic moments. The show was always in the zone when it put all of the characters in the same room, and with everyone headed over to Ally's apartment for Thanksgiving, sparks were going to fly. They came first from Georgia, realizing that the man she'd been flirting with, was in fact Ally's father, and then we get a spiral as Dr. Tracey (Tracey Ullman, inspired on this series, won an Emmy for her role) tries to figure out the root of Ally's parents' marriage. 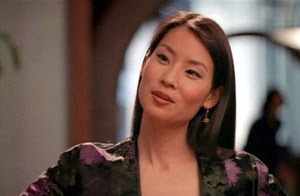 Throw in Ling at her absolute most vicious, the bittersweet end of the Whipper/Richard relationship, and Richard stealing all of the food at the party, and you have a perfect example of the series at its finest. I still cannot quite get over watching Robert Downey, Jr., one of the biggest movie stars of the past six years, playing second fiddle on one of my favorite little shows. It's weird to consider that this actually happened-it feels like the high school quarterback asking you to dance at the Prom. This episode was his best entry in the series, though he doesn't deserve all of the credit. Jami Gertz knocked a home run as Ally's former classmate, the prudish Kimmy Bishop (Gertz, a criminally underrated actress, got her only Emmy nomination for this spot). Throw in Ally pining for Larry and their first kiss, and you get the prefect example of the mellowed-Downey season. A flawless representation of Ally at its finest. In tow are hilarious moments from Ling (who sued because she didn't get the breasts she wanted for her sister) and whimsy for Ally. We got some great musical numbers from Jennifer Holliday (doing Al Green, and even more perfectly, Randy Newman), and one of those pivotal moments in the Georgia/Billy/Ally triangle (Ally finds out Billy left her in Boston to pursue Georgia). Throw in Elaine dancing with John in the bathroom (the first of almost everyone taking a turn in the unisex with Barry White), and this is a grand slam. All-in-all, this is one of the episodes I best remembered, years later, almost scene-for-scene. Part of me wants to put "Fools Night Out" in first place-it's goofier and cheekier, but I cannot deny this episode, one of the first that I ever saw of the series. We had an hilarious case where Ally is lusting after Gregg (Jesse L. Martin) who is on trial for putting a "big fat hog" heart into a woman, and most importantly, we got the introduction of Ally's theme song. The show was so individualistic, and I remembered thinking, "this is something I want to be when I grow up"-confident but vulnerable, marching literally to my own tune. Perhaps the main reason that I loved this show so much was that, of all of the television characters out there, I identify best with the whimsy and eternal hope/self-doubt that Ally brought to her show. And that is never better than here. Those were my thoughts on this long dormant series-what were yours? Did I miss any personal favorites? Are you excited to see where we head from here in the countdown? Share in the comments!